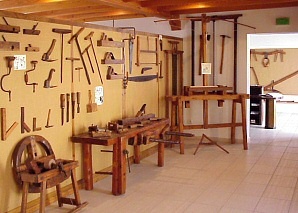 The Ethnography Museum in Formentera, situated in the centre of Sant Francesc Xavier, exhibits permanently a selection of tools and traditional utensils used by the people from Formentera. The exhibition presents the farm implements that the labourers used to work the land; tools and utensils for other traditional occupations such as fishing or the production of salt. It also shows other original objects of ethnographic value, models, furniture and traditional clothes.